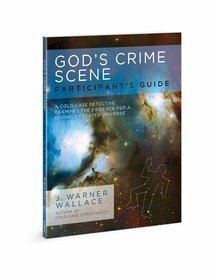 Custom illustrated by the author, renowned cold-case detective, author, and speaker J. Warner Wallace, this exclusive participant's guide engages the audience in the "investigation" into whether the universe as we see it just happened, or if there is evidence of a divine "intruder"-or rather, God. Companion to the eight-part video series, participants will dive into one of the most meaningful and challenging questions: Does God exist? This highly visual guide helps the participant engage with the content to ultimately develop an investigative skill set similar to what a detective might use in investigating a homicide. About "God's Crime Scene: A Cold-Case Detective Examines the Evidence For a Divinely Created Universe (Participant Guide)"